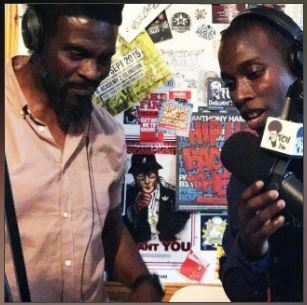 “Where Did They Begin?” On this edition of The Morpheus Soul Show show DJ Johnny Rebel & The Soulful Solly Brown welcome very special guests Emeson and K15 collectively known as Profusion to the Itch FM studio. Their brand new album “Where Do I Begin?” is available to purchase now on First Word Records and is available on vinyl and mp3. The Soulful Solly Brown introduces Profusion to The Morpheus Soul Show. The Soulful Solly Brown speaks with K15, one half of Profusion. Emeson speaks with The Soulful Solly Brown. More talk from Profusion and The Soulful Solly Brown. As we cut this week’s number one short, only for our very special guests Profusion (Emeson & K15) to perform “Messages” live in the Itch FM studio alongside even more incredible live versions of “Where Do I Begin?” and “Golden”. K15 takes control for the final twenty minutes with a dope mix to end this fantastic live edition of the show. Photo Courtesy of Georgia Djiabouras.